Have you ever wondered how a dress shirt comes back from the dry cleaners starched and ready to go? I mean, the process that leads to a perfect shirt. Surely you remember a time in your life when you struggled to iron a three dimensional cloth object without wrinkling the sleeve or pocket right after your ironed it. So how does the dry cleaner get it right every time? I imagined the process including an antiquated steam spewing ironing machine, much like you would have seen in the background of an old black and white Jimmy Cagney gangster movie. To my surprise, at David Choi’s Cohasset Cleaners, “picture perfect” dry cleaning process was achieved by a machine-enabled garment processing system very different from what I expected. 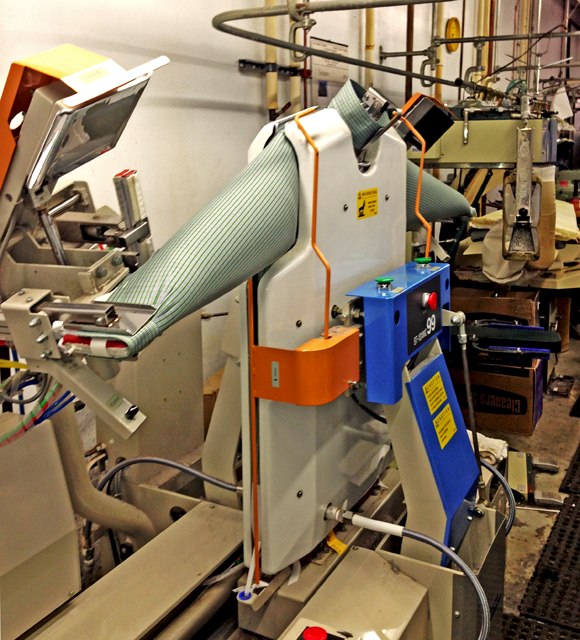 The core process relies on an automated pressing machine operated by a skilled presser. Three pressing steps are involved: two U-shaped and one flat plate press, irons the cuffs and collar (picture 1). From there, the shirt transfers to a shiny torso-shaped steel press. 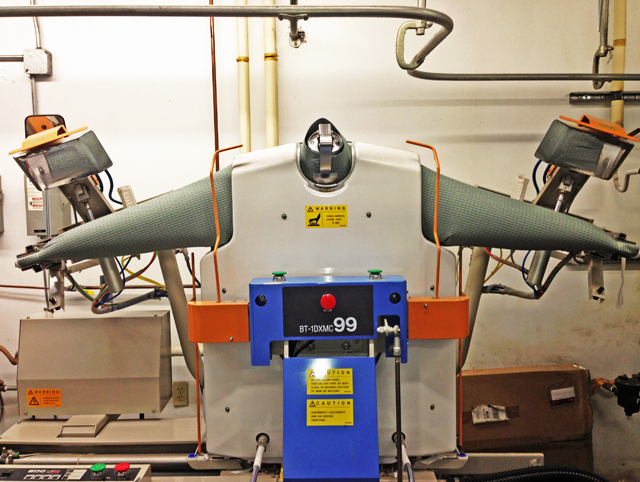 Sleeves are threaded onto two shoulder-height clamping plates, which stand at the sides of the torso press. With a push of a button, the sleeves pull away from the body of the shirt and a valve opens and pumps compressed hot air into the sleeves (picture 2). In another twenty seconds, the sleeves go limp, the torso press lid releases, and the finished product stands alone pressed and ready to go. The next time you pull a piece of dry cleaning out of your closet, remember, hand and mind came together to make your clothing picture perfect. Amy Glasmeier is a professor in MIT’s Department of Urban Studies and Planning.